Our tide app displays the most recent Texas tides, Lousiana tides, Mississippi tides, Alabama tides, and Florida tide tables using NOAA real time data on satellite maps. 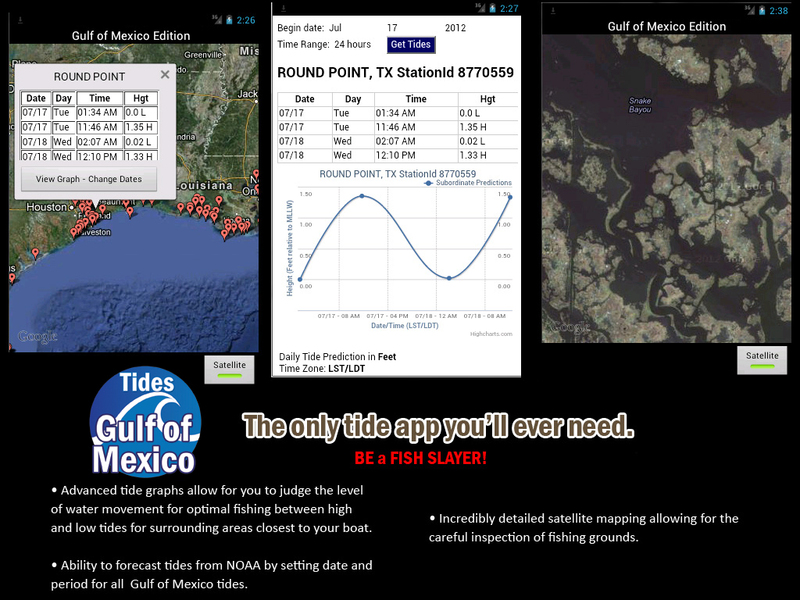 Tide tables play a major role in almost every aspect of fishing in the Gulf of Mexico. Having accurate information for Texas tides, Lousiana tides, Mississippi tides, Alabama tides, and Florida tides is key to a good fishing trip. Here is a list of the Tide Stations, we handle all 597 of the Texas tides Stations, Lousiana tides Stations, Mississippi tides Stations, Alabama tides Stations, and Florida tides Stations.